4 different colours in the Jumpers available . 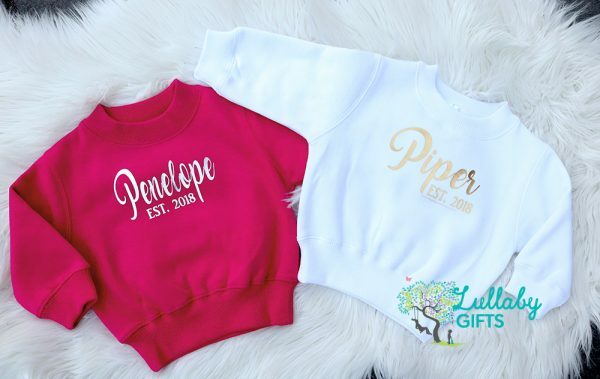 Here at Lullaby Gifts- I have been creating the ORIGINAL EST hoodies and jumpers which have become a very known item to Lullaby Gifts since early 2010. 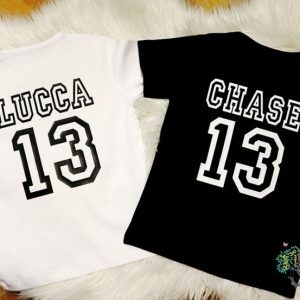 I only use all my garments from suppliers- no retail stores or outlets where you will receive the same consistency in each ordered product and also high quality items only used.